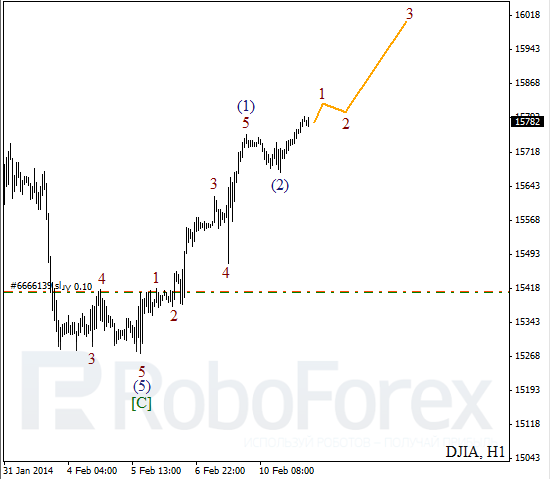 It looks like after finishing wave [C], Index formed initial ascending impulse inside wave (1). 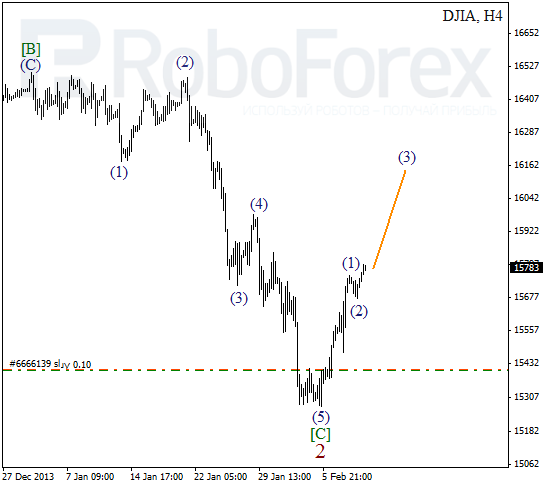 Possibly, price already completed the second wave as well and right now is growing up inside the third one. Probably, market may reach level of 16000 during this week. More detailed wave structure is shown on H1 chart. On minor wave level, after completing wave (2), market started forming the first wave inside wave (3). In the future, instrument may form local correction inside the second wave, after which I’m planning to open one more order. 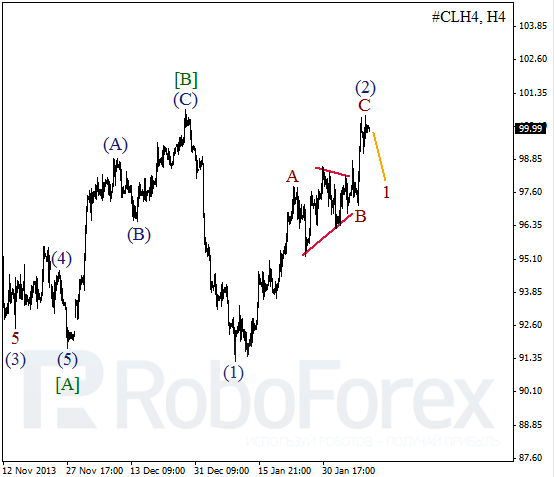 It looks like Oil completed wave (2) in the form zigzag pattern. However, right now it’s quite risky to sell, that’s why I’m waiting until price forms bearish impulse inside wave 1 and makes a reverse. 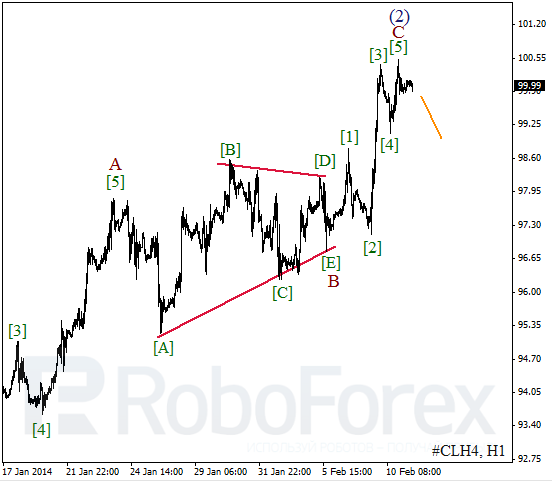 As we can see at the H1 chart, after forming B in the form of skewed triangle pattern, Oil completed impulse inside wave C. Yesterday, price finished the fifth wave and may start forming initial descending impulse quite soon.